Bird photography is certainly no different! Not only do you have your camera settings, composition, and lighting to think about, but you also have to take into account how your subject behaves and moves around so you can get the most pleasing shot. 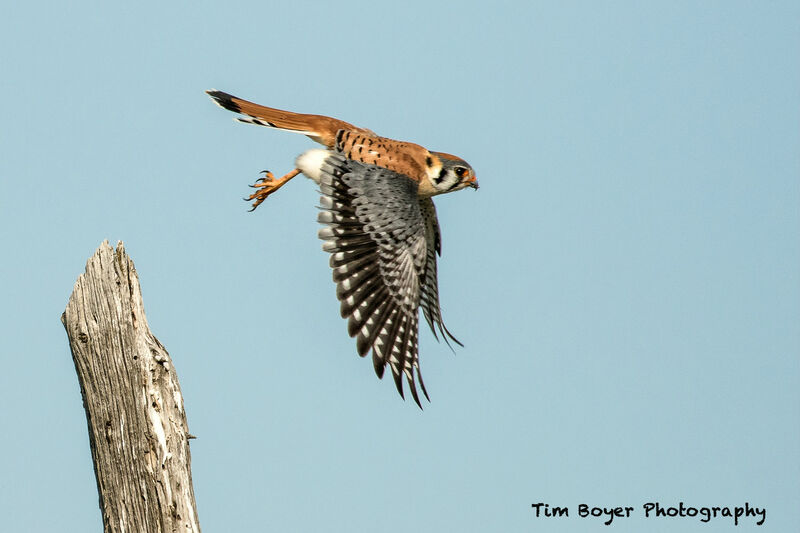 Below is an outline of seven common mistakes in bird photography, with solutions for each one from our friend and master bird photographer Tim Boyer. 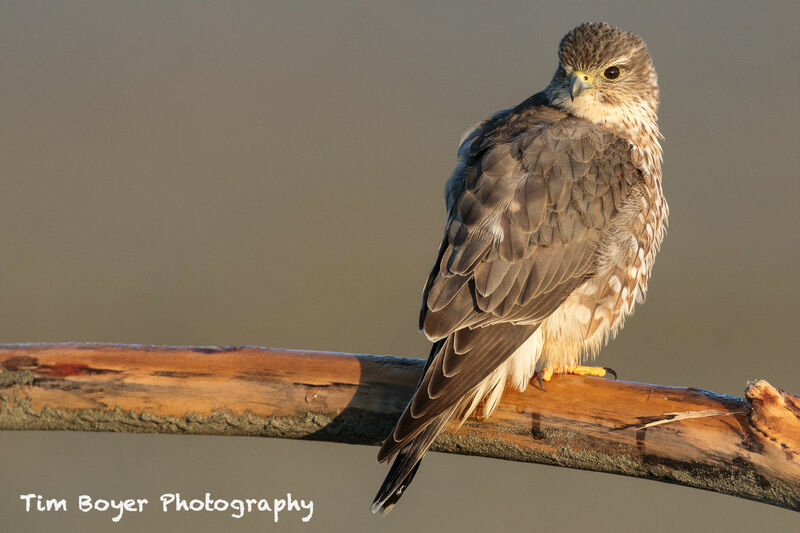 This Merlin photo was created at 1/1000 of a second at f/8. Because the beach in the background was far away, the aperture didn’t have to be wide open, and there was enough ambient light to use f/8. 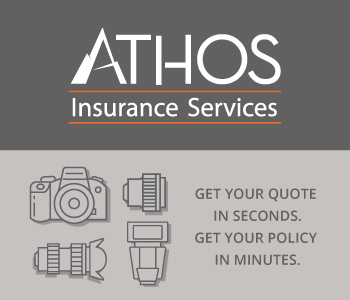 To get a sharp image with a telephoto lens, the shutter speed needs to be higher than you think. Unless you’re trying to blur the bird's wings, the shutter speed needs to be 1/1000 of a second or higher. The smaller the bird and the faster the wings beat, the higher the shutter speed needs to be. I like to start at 1/1000 of a second if the bird is moving quickly or about to take flightflight. I might change the shutter speed to 1/2000 of a second or even higher if necessary. One way to get a faster shutter speed is to shoot wide-open at f/4 or f/5.6 or whatever the fastest aperture is on your lens. By keeping the aperture wide-open, you get a faster shutter speed, and you get a softer background, too. Get more details on creating sharp bird photos in the video above. 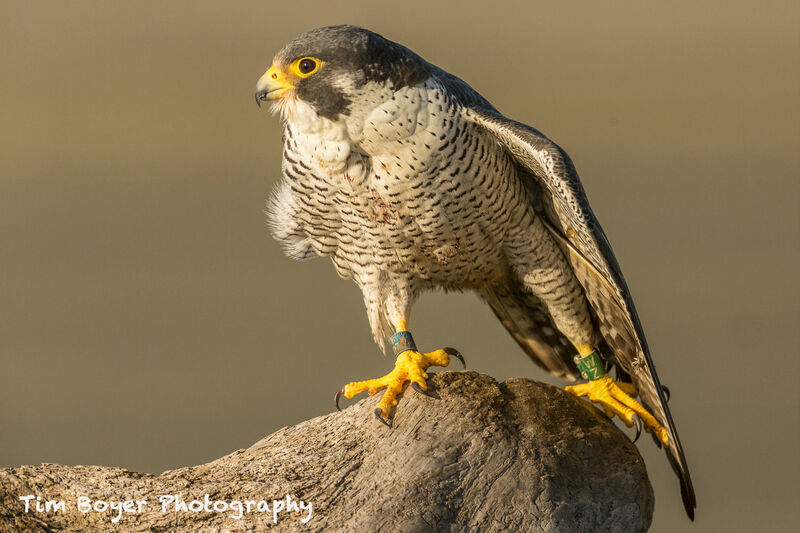 By watching the peregrine in the viewfinder, I was ready and able to capture this wing stretch. 1/1250 of a second, f/7.1, ISO 500. The second most common bird photography mistake is that photographers take their eye off the viewfinder and off the bird too often. Practice changing the aperture, shutter speed, ISO, drive modes, autofocus modes, and exposure compensation, that way you don’t have to take your eye off the bird. Murphy’s Law dictates that once you take your eye off the bird, it will do a wing stretch, it will fly away, or it will do something that you’ll wish you were able to photograph! 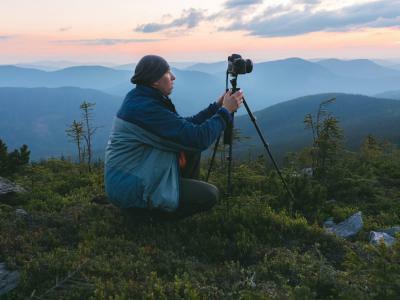 In the video above, learn about seven things you should be able to change on your camera without taking your eye off the bird or away from the viewfinder. This image was created by laying down on a gravel road, about 30 feet away from a group of photographers waiting for the Snow Geese to blast off. 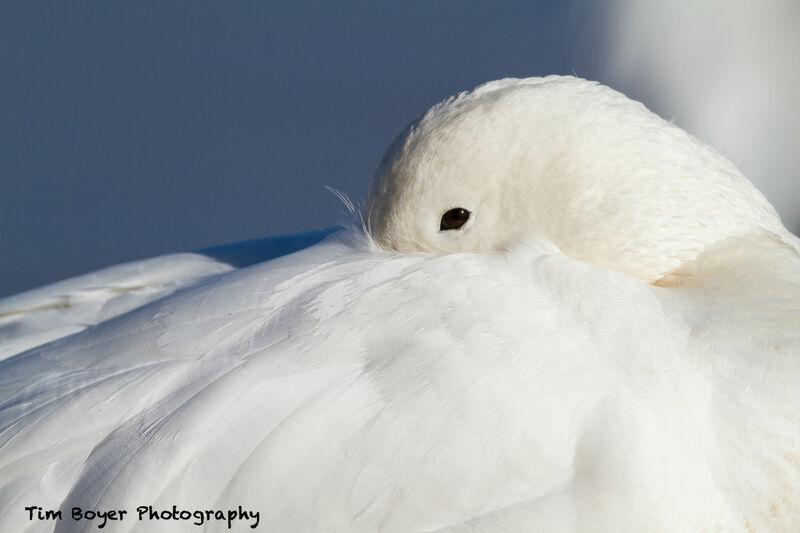 I used a 600 mm lens and a 1.4 extender to focus into the flock of sleeping and resting Snow Geese until I found one that had some nice feather details, textures, and shape. This image was taken on the Bosque del Apache Bird Photography Workshop. To make a better bird image, it’s important to get on the bird's eye level, but it’s also important to work the subject and photograph it from multiple angles. The effort it takes to try to get a different shot, a shot that shows the bird off in a new way, will always be rewarded. 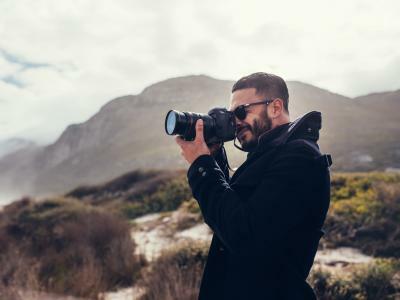 If there’s a crowd of photographers standing around photographing the same thing, see if you can move to a different angle, around a corner, or up the road to get a different shot than the one they’re all getting. Use point of view to your advantage and be creative! While you’re in the field photographing birds, use your time to watch the birds instead of chimping. Check the LCD screen for highlights alerts and the histogram to make sure you’ve got a proper exposure, and check for sharpness. You can check for background, the edges of the frame, and composition while looking through the viewfinder. 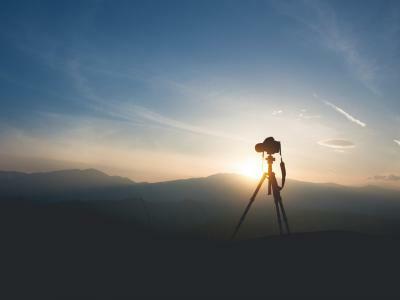 Don’t miss shots because you’re reviewing images when there’s something to photograph. Also, don’t walk and chimp at the same time - it’s too easy to trip or walk out into a road with traffic! Quick Tip: To learn more, visit my website to see the bird photography workshops I lead. 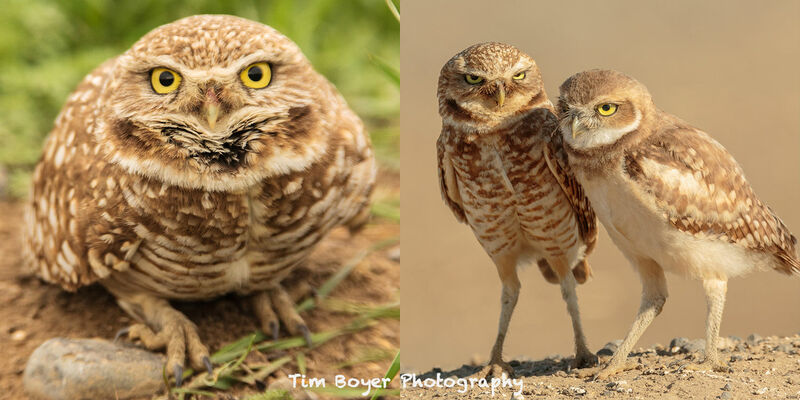 In these two images of burrowing owls, the first one the owl is stressed out, its legs are compressed, and it’s about to fling itself into the air. I was too close when I took this shot in 2006. The second shot was taken 10-years or so later. The effective focal length is the same, but I’m outside of the owl’s comfort zone and neither owl is stressed out. What you see is part of their natural grooming of each other. If I were any closer, I would not have photographed this behavior. Zooming with your feet means you’re walking closer to the bird because you don’t have a long enough telephoto lens. The problem with zooming with your feet in bird photography is they’ll just fly away. It’s important to not get too close and stay outside of the bird’s comfort zone. It’s always important to be ready to get the shot. 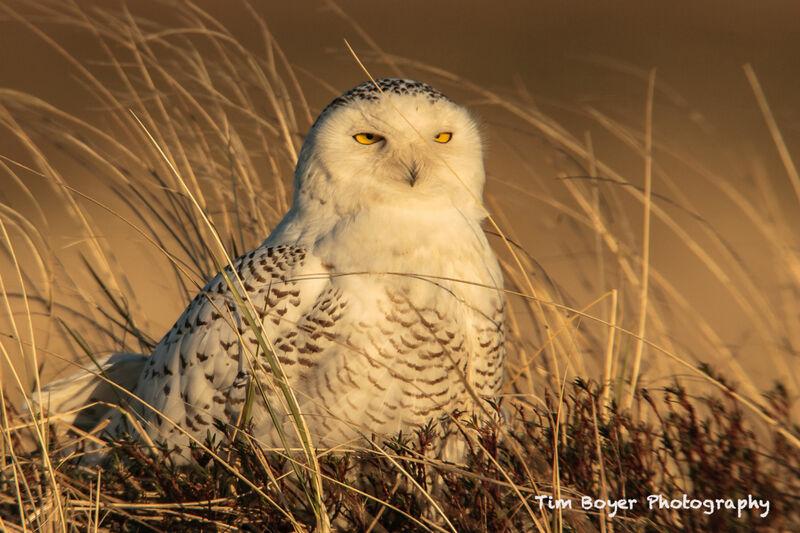 Have a 400 mm lens and camera on the car seat next to you if you’re driving around a National Wildlife Area. 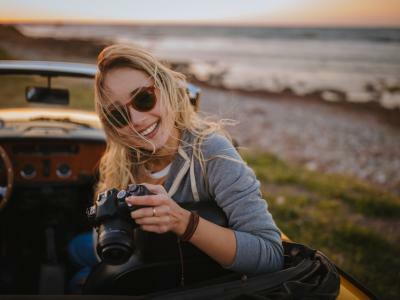 If you’re the passenger in the car, have your window rolled down, have your camera up and ready to get a quick shot off in less than 2 seconds. As the car rolls up on a bird on a fence post or on some fence wire, you’ll be able to get the shot of the bird before it flies away. As we approached the Kestrel on the fence post in the shot above, I knew it would fly away. But I had my left hand on the steering wheel as my right hand brought the camera up to my face. As I stopped, I let go of the steering wheel, supported the lens with my left hand, and took a couple of shots. Always be ready and anticipate the action! Quick Tip: There are two chapters on fieldcraft techniques in my book Learn the Art of Bird Photography. If you see a bird and you want to get closer to it, walk at an angle up to it - don’t walk straight at it. Birds key into motion and sounds, and if you walk directly at it, it might just fly away. But if you walk towards it at an angle and don’t make eye contact with it, it’s likely to stay put and not fly away. If you need to, you can zigzag up to the bird. The slower you move, and the quieter you are, the more often the bird will stay put. If you can kneel or crawl, you can get a little closer too. Try these techniques on your next trip out to photograph birds, I’m sure you’ll see some differences in your images.